maximizes use of federal capital funding from which the local jurisdictions receive hundreds of $millions in benefit. But isn’t Metrobus more expensive than local bus operators? Nope. Metrobus operates 4.4 million bus hours per year at a cost of about $104 per hour, with the cost to add service about $93 per hour, including the buses and garages! Because WMATA’s budget books are open and evaluated publicly, we have regularly communicated the actual costs of running Metrobus, including all of the costs that go into running the service. Labor? Check. Garages? Yup. Fuel? Absolutely. Insurance? You betcha. Fleet? Roger that. Repairs and maintenance? Yes. Support staff (like me)? It’s in there. Most local transit agencies are purely operational in their responsibility while other local agency departments handle supporting needs, for example, like police, IT, or human resources. In some cases, the local transit agency considers capital investments – such as fleet or garages – as outside the confines of the operating cost for bus service. Costs per hour for providing DC-region bus systems are commonly compared, however importantly, WMATA’s stated hourly cost figure is the most complete accounting of bus service provision that is available in the region. Portions of that overhead gets allocated to Metrobus in a way that local operators often do not report, leading to what appears to be large differences in cost, but are really more about differences in accounting. We attempted to construct a ground-up cost comparison for the different bus networks in the region and presented this to our Board in September of 2015, with the main conclusion that all things being equal, the different bus providers have roughly the same costs. Also, remember that the stated platform hour costs for Metrobus is a product of Metro’s subsidy allocation, not a general ledger. The subsidy allocation reflects how the region has agreed to distribute the costs of overhead associated with bus service, and a formula of politics, not economics. 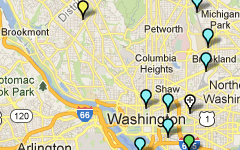 WMATA has advantages that make its marginal cost of service lower than regional operators. That means that a better question might be “what is the marginal cost for adding or subtracting an hour of service?” Transit service requires facilities to support them. 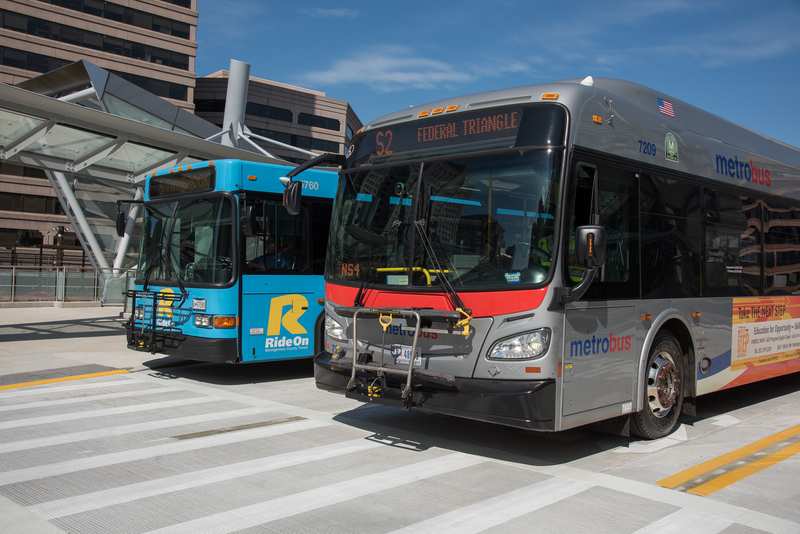 One key advantage is Metrobus has a large stable of buses and garages, therefore we don’t have to add the $5 per seat per day cost of a bus or the cost of garage capacity to that increment. There are three main factors in the cost of bus service. Local governments have made many decisions that have had significant impacts on deadhead, or non-revenue, time. For example, outside of Metro’s control, bus divisions are being closed and relocated to less efficient locations, increasing operating costs with each facility decision made on a jurisdictional level. These basic costs are the same regardless of which agency operates a service. These costs can be significantly affected by local decisions and deficiencies where buses can park during layover, or in decisions regarding transportation system management, curb space management or functional design and accessibility of bus stops and stations. Labor rates ultimately aren’t much different across agencies. Our experience shows us that paying a lower wage results in higher turnover and training costs and decreased service quality. Further, because of generational transition, Metrobus no longer has an hourly rate formed from all-senior level staff. As has been the case with DASH, Connector and Ride On, staff seniority tends to even out in time and the costs trend toward a common level. That may be a difficult story to tell, be Metrobus is an important regional asset that we all should value. 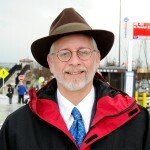 Jim Hamre , always makes cogent comprehensive arguments on behalf of Metro Bus, which is the only high functioning area of WMATA. Sorry, but WMATA shares in the responsibility for the really bad decisions to build the Cinder Bed Road and Andrews Federal Center garages way beyond the primary service areas of Metrobus. The agency recommended these locations and encouraged local officials to take the easy way out. The region will pay for these bad siting decisions for the next 50 years in unnecessarily high deadheading costs. Switching Things Up for Winter Operations Is the DC Streetcar Hurting Ridership on Metrobus X2+X9? No.